Up to 6 – max. 8 seats. 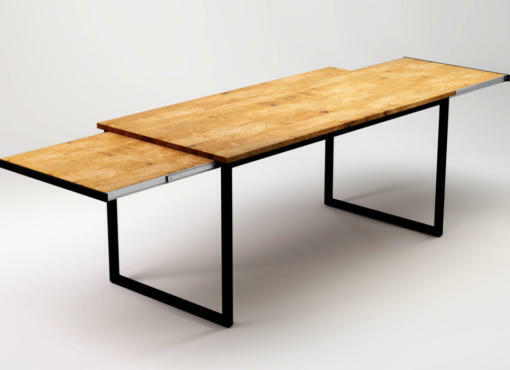 BLACK MAGIC is an amazing modern dining table with metal legs and wooden tabletop. A high quality piece of handmade furniture with a simple, sophisticated design. 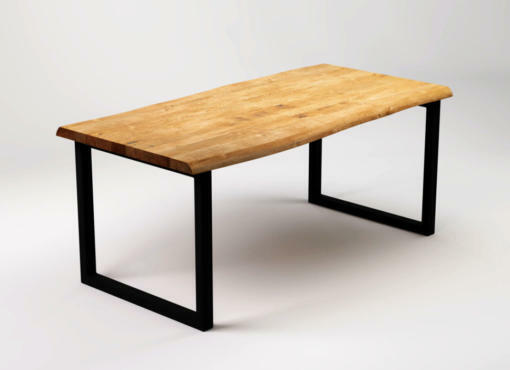 Expressive black steel base give the table a bold, original look. A subtle elegance inspired by contemporary industrial style and the best traditions of our company. 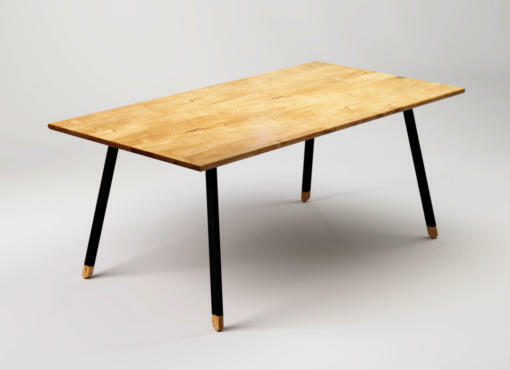 The slim legs support a solid oak tabletop with a smooth texture and a stunning natural wood grain. This is not typical oak wood usually used in furniture production. The raw material used to produce the BLACK MAGIC table has been specially selected by our craftsmen in order to give it a best look with its individual character. 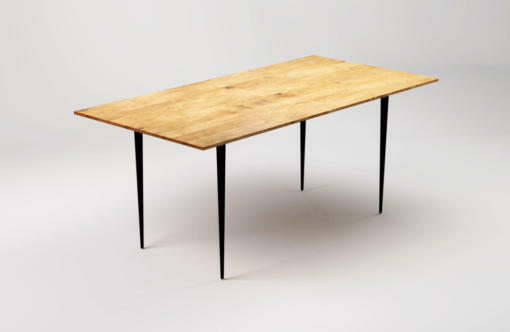 The simple, minimalist form, the original character and the combination of metal and natural wood make the table a great piece of dining room furniture. 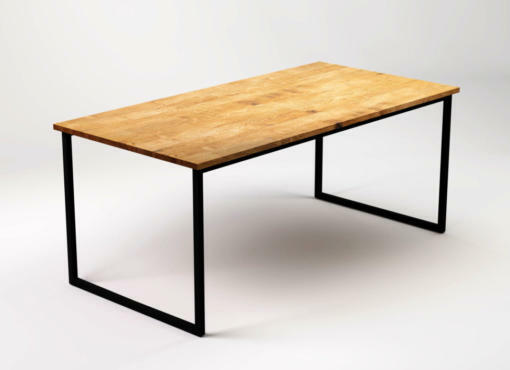 BLACK MAGIC table can also be used as a modern writing desk in the home office or as a conference table in the office.